King of Kash is an American financial services company based in Kansas City, Missouri that specializes in the installment of loans. Kings of Kash offers affordable installment loans to its clients on a 12 month basis with the loans the loans ranging from 100 dollars to 3,000 dollars. 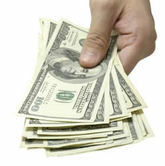 At King of Kash, there is no collateral, no loan origination fee, no traditional check and the approval is quick which has made the company grow into one of the leading financial services company in the State of Missouri serving more people than most of the banks, title or payday loan companies. King of Kash was founded in 1978 and currently it has more than 40 across Missouri. There are currently 0 consumer reviews about King of Kash Loans available. Share your review. Please take a note that you are about to post a public review about King of Kash Loans corporate office on CorporateOffice.com. This review will be public, so please do not post any of your personal information on this website. If you would like to contact the corporate offices of King of Kash Loans, please use their contact information such as their phone number, website, and address listed above to contact them. However, sometimes staff from King of Kash Loans headquarters do read the reviews on this website.